PRITCHETT Consulting Clients, Merger Integration Certification Workshop Attendees, and Website Subscribers can access every book. They can also access everything else-all the presentations, playbooks, videos, articles, assessments, webinars, research, tools, and templates on MergerIntegration.com. Smart Moves lays down the ground rules your management team will need to protect the "3 P's" — productivity, people, and profits. 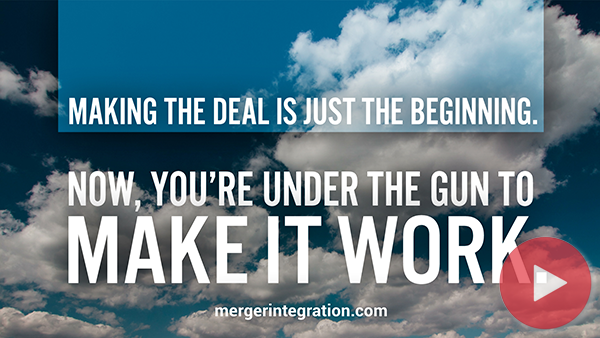 Statistics suggest that roughly 75% of all mergers prove to be either a disappointment or an outright failure. This book sketches out a series of specific actions designed to dramatically improve your odds of success. Making Mergers Work identifies the most common mistakes in corporate marriages and the price tags they carry. This book provides the step-by-step insight needed to manage throughout all three merger stages, with specific instruction on team-building and managing differences in corporate culture.